The Best Republic Day SMS. Use image quotations as wallpapers, backgrounds to help inspire and keep pushing forward towards your dreams. Dreams of great people who have fought and sacrificed everything for our country have come true on this day. Happy Republic day... 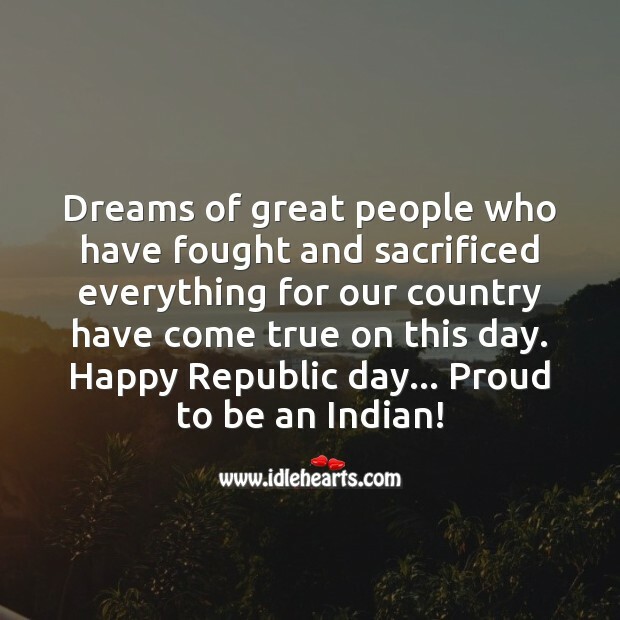 Proud to be an Indian!